Wooden flooring is chic and stylish looking. It can be costly as well as labor consuming. 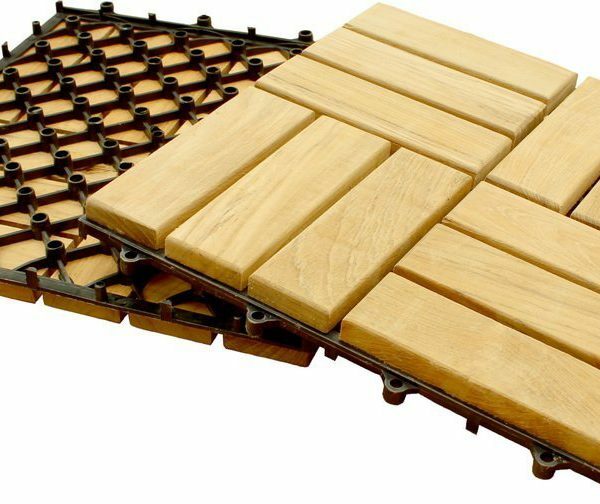 Nordic Style Interlocking floor tiles are pure teak wood tiles that can be easily put together. There is no need for a professional help for you with this. It comes in options for the normal floor, shower tiles, as well as that suits for the pools. The specialty is that it is made of teak that has many benefits. It is durable and resistant to all insects and termites. If you need any wood, it would be teak. Let’s see what all we can find at the Nordic Style LLC. Make your room impressive with Embroidered Cotton Crewel Fabric featuring striped patterns, floral designs and much more. Equally, designed with elegant colors and charm. Look on for the French country styles available at their place. Where can you use Nordic Style interlocking tiles? Why are the benefits of using teak for flooring? Where Can You Use Nordic Premium Wood Interlocking Tiles? These tiles are fit to use in balconies, patios, decks, roof tops, terrace, kitchen, closet, cellars and wine room, boats, office, salons, studios, showrooms, and almost anywhere. When it comes to wooden flooring the best option is teak wood, for its endless qualities. For starters, it looks elegant and is there to stay for not just years but count it in centuries. Strong and durable: teak wood is stronger and durable than any other wood. The flooring will last longer than you. Having the teak tiles from Nordic, you can even use it for the leased houses. Lay them when you move in taken them out when you are moving out. The teak quality stays the same everywhere in all climates. Resist insects and termites: Teak is naturally resistant to wood insects and wood eaters. You will not find a single insect on this flooring. It is also not succumb to fungus or fungal stains. Weather proof: Teak wood is weather proof and can maintain the temperature inside the home or room. It will not get too cold or too hot as in the case of other types of wood. Rot and decay proof: Teak wood does not rot, no matter how long you put it in water. The wood is high density and cannot rot like the other wood. It is also resistant to the acidic or alkaline substances. You no longer need to worry about any hot liquid spills or of any kind for that matter. There will be no damage or stains. Does not shrink: Teak wood does not expand in damp weather or shrink when it is too hot. It is moisture resistant. Versatile: Teak wood looks elegant and can be matched with any kind of metal or furniture in the room. Having a teak flooring will not jeopardize your interior design in any manner. There are 3 varieties of teak interlocking floor tiles. They are shower mat, string tile, and teak floor tiles. You will get 5 types of shower mats of varying sizes, 3 types of string tiles and 3 kinds of floor tiles to choose from. The tiles are available in square or rectangle shapes. They have a rubber grip at the bottom to keep it in place. The tiles are exclusively distributed in USA. Being teak would make it resistant to weather and other damage. It takes only a few minutes to make the floor. The step by step instructions are also provided for you. All the shower mats have slats with 1.1 inches thick. They are shipped in convenient sized boxes for each size. All the boxes are more than 2 inches thick for enough padding. Teak shower mat 17.7 x 23.6 inches with frame: As mentioned there is a frame on all sides and the slats are fitted inside the frame. It makes a firmer mat and the slats stay in place. This is the smallest available shower mat made of teak. It comes oiled. It is easy to use or remove. It is non slip and is quite comfortable to be used for both indoor and outdoor showers. Teak shower mat 19.6” x 19.6”: This is a square shower mat with non slip finish. It has the slats placed at evenly spaced. The slats are joined at the base through 3 slats placed at the 2 sides and centre. It does not weigh too much as is easy for installation or removal. The slats are 1.1 inches in thickness. Rubber knobs are provided at the base of the connecting pieces. Teak shower mat 19.6 x 31.4: This is a larger rectangle shaped shower mat with the slats evenly spaced from each other. The connectors are provided across at the bottom. One each on both ends and one is provided in the center. It fits for a larger shower space and can be used for both indoor and outdoor use. One large is enough for a stylish pool side shower for the look as well as finish. The teak wood is sent premium oiled and is made in easy to handle design. Teak shower mat 19.6 x 31.4: This is also the same size as the previous one but differ in the design. Here the slats are arranged in zig-zag manner. The slats are placed in centrifugal manner. The bas connectors are also placed, 3 in normal across manner and 2 each on both sides are placed in slanting position to connect the designer slats above. Rubber knobs are added on all the connecting slats. This shower mat can be more stylish than all other designs. Teak shower mat 19.6 x 31.4 inches with wide end slat: Once again a similarly larger sized teak shower mat with a better stability. Here, instead of 3 connectors there are 4 provided. 2 each on the sides and two are placed closer to the center. In addition to this, it has wider slats added at the ends. This shower mat is quite ok for heavier people to have better stability. The teak comes oiled and easy to place and handle. The teak string tiles use thinner slats that are only 0.5 inches in thickness. The slats of the specific length are strung together with the slats spaced evenly. The mat can be rolled for keep sake. The slats have rubber knobs provided at the base for grip. It stays on the place and avoids any slipping accident. Teak String tile 19.6” x 19.6”: This square shaped string mat uses 19.6 inches long slats. Enough number of slats is added to make it square shaped. It folds in the same manner the slats are placed. Two strings are used to join the slats together. The product is rolled and shipped in convenient sized box. Using thinner slats make the string tiles light weighted than the other shower mat. The square string tile is dark oiled for a darker look. Teak String Tile 19.6” x 31.4” with wide end slat: Here the slats used are longer and measures to 31.4 inches long. They are connected width wise and folds in the same manner. The slats used here are 0.6 inches thick. This teak string tile is premium oiled. Another special feature is that the end slats are wider than others. This is suitable for shower use indoors or outdoors. Rubber knobs are provided at 4 places in each slat for this teak string tile from Nordic Style. Teak string tile 19.6 x 31.6”: Here the slats used are shorter, measuring to 19.6” and are placed in enough number to make it 31.6 inches long. This premium oiled teak slats does NOT have rubber knobs attached to them but is firm on the floor it is placed. The design is non-slippery. It can be used for indoor and outdoor showers. The slats used are 0.5 inches thick. The interlocking tiles come in square shaped tiles. The tiles differ in number of slats in each tile. There will be 10 pieces in each box. You may measure the room intended and find the total area. Choose the tiles according to the size. The teak interlocking tiles can be cut to fit on the sides or corner. The tiles can be connected through the corner and side locks, so cutting will not affect its fitting. There are 3 types of teak tiles, one with 9 slats per square, and another with 12 slats, and the last one with 18 slats. More the number of slats, lesser will be the size of it added in the tiles. All the tiles measures to 11.8 x 11.8 inches with 0.9” thick slats. The slats are placed over an elastic PVC resin and secured with stainless steel wood screws. Each tile weighs about 1 ¾ lbs and each box with 10 tiles would be 22 lb in weight when packed. Teak tile 12 slats: the 12 slats used are placed in zig-zag fashion. The floor will have this mixed feel and looks quite fashionable. Each box will have 10 pieces of tiles. The tiles can be interconnected in either direction. The teak is premium oiled, smooth, beautiful, and comfortable. Teak tile 9 slats: These 9 slats interlocking teak tile has the slats paced parallel to each other. The tiles are quite flexible to use in any manner you choose like. It can be placed horizontally, vertically or on zig-zag positions. The wood is premium oiled and looks stylish. Once placed parallel to each other it is difficult to note that the wood is tiles joined together. Teak tile zig-zag 18 slats: This one is my favorite. The smaller slats are added 18 in number per sq ft area. as usual there are 10 pieces per box. The wood is premium oiled, long lasting, non-slippery, and versatile in use. Start with measuring the floor and choose appropriate sized tiles, enough in number. The tiles can be cut easily so no need to worry about the smaller spaces left. Be careful to use only sharp saw and cutting tools. Clean the intended surface. Start laying the tiles from one corner to the other. Lock the tiles together with just a click and the tile is secured in its place. For the sides, if the tiles are too big, cut it to size and use the corner and left over sides to lock the tiles together. The finishing would be professional looking and would be difficult to find one end of the tile from the other. It makes a completely seamless floor once finished. Once you get the knack of it, it is only a matter of minutes before you see the brand new flooring of your chosen room. If you want to remove the flooring, find one end of the tile and un-click the lock to remove. This is better option for roof top than other types of tiles. In case of a leakage, locate the spot and remove one tile to check the damage and repair it. When you are done, replace the tile in its place. No demolition or extra work needed. Jut un-click and click. Once paid the amount all products are shipped within 24 hours, as long as it is in stock. Items are shipped via UPS or fed ex by ground. It may take 2-3 days or an optional overnight delivery. Shipping takes about 5 business days to reach the East Coast. Places closer to Nevada will get the items faster. All shipments are insured. The customer HAS to check the products upon receiving for any damaged happened during the transportation. If there is any damage, get the signature of the driver for you to be able to return the product and get the insurance. Taking a picture of the damage is also recommended. All products are shipped bubble wrapped. The return policy is quite strict. The customer will have to bear the return shipment charges for any damage that is not from the company’s side. The return period is 15 days from delivery date.